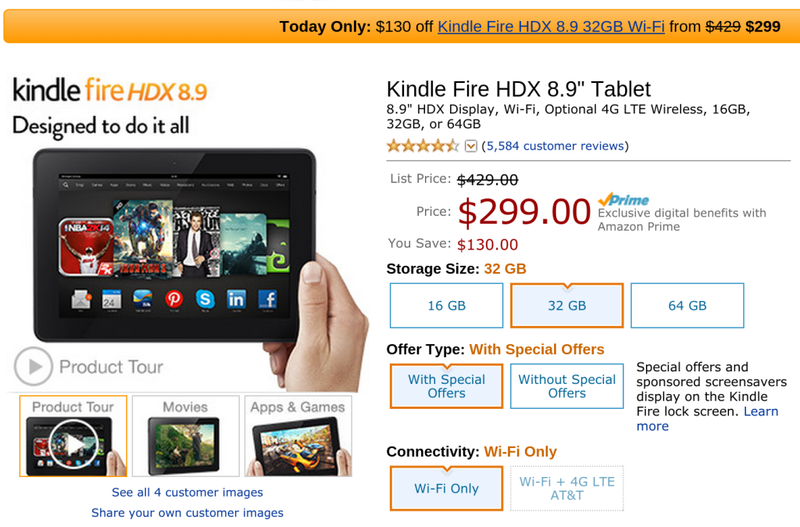 Amazon is currently offering the Wi-Fi version of its 32GB Kindle Fire 8.9 for $299.99, a discount of $130. For an extra 15 bucks, you can get the variant without ads (excuse me, special offers) instead. The discount applies to both, and it's valid for only today. Other variations of the tablet are also going at discounted rates, though they don't compare to the $130 savings we see on the aforementioned model. The 16GB and 64GB options are both available for $60 off. The former, at $319, is a waste today considering the 32GB model is currently cheaper, but the 64GB might be worth a glance if you're certain you're going to cram this tablet full of content. Just know that, since this is an Amazon product, you're not getting the Play Store or those handy Google apps. Though, with a little effort, you could always get around that. 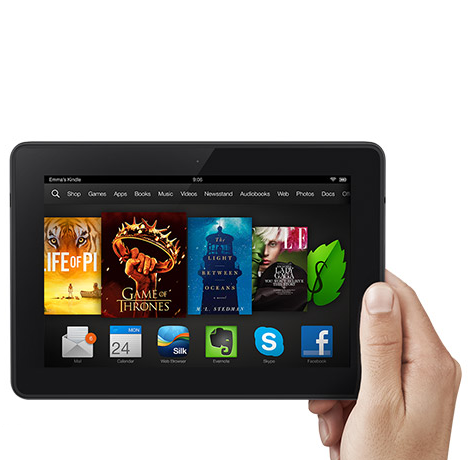 For more on the Kindle Fire HDX 8.9, check out our review.